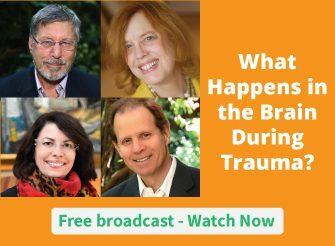 How can the body become a resource for a patient who’s experienced trauma? Polyvagal Theory helps us answer this question by explaining how people process their environment and how the body regulates itself in the face of stress and trauma. Watch the video below as Stephen Porges, PhD shares one way to apply Polyvagal Theory when working with the body’s responses to traumatic triggers and stressful events. How could you use Polyvagal Theory in your work with patients? Please leave a comment below. This is awesome. I’ve always enjoyed reading your blog. I work as a counselor with kids who are incarcerated in the Juvenile Justice Detention Center in Miami and, as you know, most of these kids have been severely traumatized. They have witnessed so much violence and rage and hopelessness in their young lives and, with no emotional support to teach them how to deal with the fear and anger they are experiencing in a healthy manner, they turn to drugs to dampen the pain and to escape for awhile. I would love to learn some skills to really help these kids. Very well written written blog. Hope to see more like this. Thanks for the valuable information. Hope to get more soon. very nicely written blog, expecting more such types of blogs in future. Thank you for the information. I’ll use this data for my report. Thanks!! Amazing blog, got lots of things to learn from it, keep posting. This blog will help me to enhance my research. Thank you!! For business growth, this blog will help me a lot.